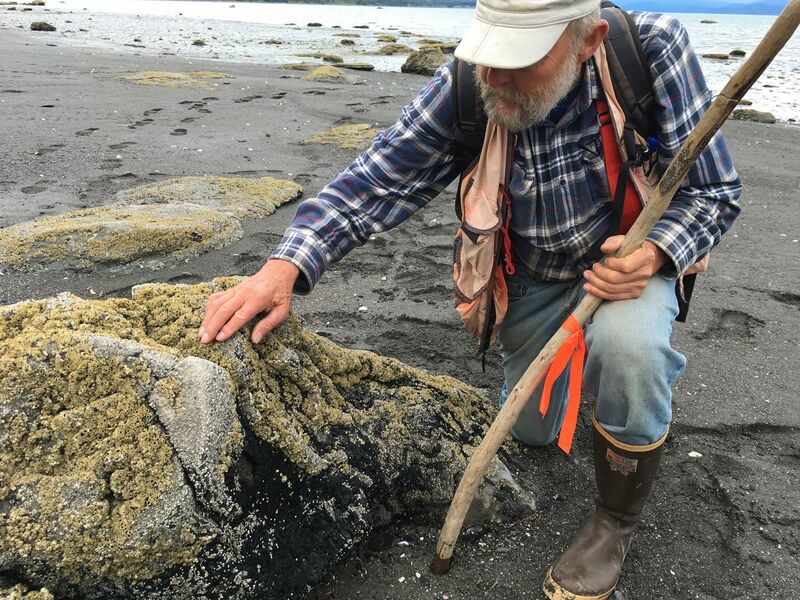 HOMER — Retired botanist Ed Berg took me to a beach off Kachemak Way, east of town, to see petrified stumps of big metasequoia trees that died out millions of years ago. Then we looked at a living seedling of that same species, once again potentially viable in the newly warmed climate. Homer farmers are trying to grow the metasequoia, also called dawn redwood, which nearly went extinct. They hope its towering trunks could once again populate a forest where the dominant spruce trees now are dying. They are trying out other warm-weather trees, too. "We are warming the climate. We'll probably see lots of things growing here, for better or worse, that haven't been able to grow for a long time," Berg said. "Here we're talking about a few million years." As an oracle of the future, Berg has a good record. 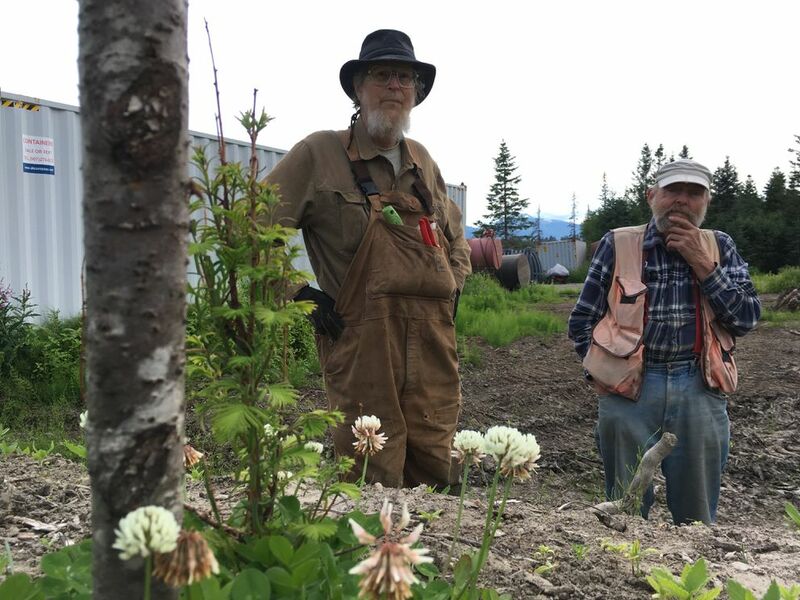 When he was a research scientist for the Kenai National Wildlife Refuge, he established climate change as the cause of a die-off of spruce across the region. New warmth had boosted the reproduction of the spruce bark beetle into a fast-moving plague. That historic research 20 years ago made the world's first proven link of a major biological event to climate change. Although retired, Berg predicted in 2015 that another big spruce beetle kill was coming farther north. And he nailed it. The blight hit hard last year in the Susitna Valley and is still spreading. When I arrived at his house in Homer recently, Berg wore a tool belt and carried a nail gun. He was a carpenter much of his life, despite earning a bachelor's degree in geology, a master's in statistics, and two Ph.D.s, in botany and philosophy. "I loved going to school," he said. On the beach he read the landscape like a book. Shore erosion has peeled back layers of soil, rock and coal on the north side of Kachemak Bay, each layer a chapter of prehistory. In black ledges of lignite I could see the grain and knots of trees that lived before the first human. The metasequoia stumps are boulders, wood that turned to rock, but in places coal remains attached where looping grain did not complete the transformation. For 35 million years, the species dominated northern forests, but was wiped out by cooling weather and glaciation, according to Yale's Peabody Museum. It was known only as a fossil until 1943. That year, a forestry researcher in central China stumbled upon a single grove of trees he could not identify. Eventually, those trees were recognized as living Metasequoia glyptostroboides, or dawn redwood. After its rediscovery, metasequoia spread around the world again, as an ornamental and in botanical gardens, where it rapidly grew to tower over other trees. It is related the California's giant sequoia, the world's largest tree, and coast redwood, the world's tallest. Berg's friend Tony Burgess hopes it could someday tower over Homer. He planted metasequoia and about 30 other non-Native tree species around a 15-acre cooperative farm in Homer called Blood, Sweat and Food. Burgess knows about botanical experimentation. He has a Ph.D. in ecology and worked 17 years for Columbia University at Biosphere II, a three-acre terrarium in the Arizona desert. A Texas oil billionaire originally funded that project to create a self-contained copy of Earth's natural systems — including people — and learn to move life off the planet. But after a first group of residents locked inside nearly starved, the media turned on the experiment as a fraud. Burgess moved to Alaska to be with his son after a cancer diagnosis. At the time a doctor gave him two years to live, but that was five years ago. For a man on borrowed time, he is uniquely focused on the distant future, planting trees that will take a couple of human generations to grow for an experiment to remake forests over centuries. "Nothing really worth doing can be done in a single lifetime, and that's certainly true when you're talking about forest ecology," Burgess said. He believes nature needs this human guidance. "Otherwise we might have to wait thousands of years to find out what will grow here," Burgess said. As they talked, that future world seemed almost visible to Burgess and Berg, two brilliant elder scientists in their shared imagination exploring deep knowledge. What climate should we plan for? Will it be like the Midwest, or the Northwest? Will it be forest or savannah? But I thought about what that transformation would mean to me. The natural world I love would be gone, every species changed, all sacrificed for a human century of fossil fuels. Each time you hear a climate change skeptic scoff that the Earth's climate has always changed, you can nod and think of those petrified stumps on the shore. Yes, we are probably going back to the completely different world that existed before human beings evolved. And we're doing it lightning fast. I asked if new trees Burgess is planting could restore the region's ecology. He said no. "It's synthetic," he said. "We're throwing stuff together. We're not trying to reconstitute anything, we're trying to create something that has never occurred to anticipate climate change." In one sense, this is real. His seedlings of oak, fir and larch are growing, along with the dawn redwood — although about half of those trees died in deep cold that came last winter without snow cover. But I couldn't seriously think of these tiny sprigs as a forest spreading to replace the spruce of Southcentral Alaska. I'd rather conserve energy, adopt renewable sources, and hope to slow the change. In millions of years someone may walk a beach and find remains of us as Berg found the metasequoia. We should think about what we want them to see.